Not many people realise that for years, rivers have been altered by man for a variety of reasons such as land drainage, preventing erosion and providing water supplies. Now, in Cumbria, three rivers in the Derwent, Eden and Kent catchments, have been returned to a more natural state in a programme that is one of the biggest in the UK. It is a move that is already bringing huge benefits for the environment, people and wildlife. Over the last few years, three rivers – Whit Beck, Lyvennett and Leith – have been successfully restored to their former glory, before man starting tampering. In two of the locations (Whitbeck and the Lyvennet), Atlantic Salmon were found spawning in the newly restored river channels within weeks of work finishing. 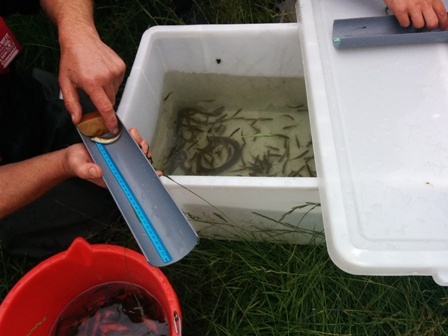 This is a clear indicator that what we are doing has real benefit for fish populations! Before the rivers were restored, salmon struggled to spawn in heavily modified man-made river channels without any natural meanders or places to build redds (nests). Now, by returning the rivers back to their natural state and increasing the size and quality of the river channel, we have created much more diverse features with a better range and variety of habitat within the channel and surrounding land. This is vital for wildlife, such as fish, insects, birds and aquatic plants, which all require a range of conditions in and around the river to hide, feed and breed. The projects have also significantly increased the area of deciduous woodland and provided wildlife corridors to improve the ease of movement of plants, animals and insects between woodland blocks. A more natural river with meanders, flood plains and wetlands has a natural slowing and filtering effect on water, which can also help reduce the risk of flooding locally. These kinds of river features are also extremely important for wildlife. The channels can also store gravel and adjust, creating more sustainable, lower maintenance systems which behave naturally and reduces the need and cost of river maintenance. In Cumbria we have the longest length of Special Sites of Scientific Interest and Special Area of Conservation rivers in England so it’s important we improve these. 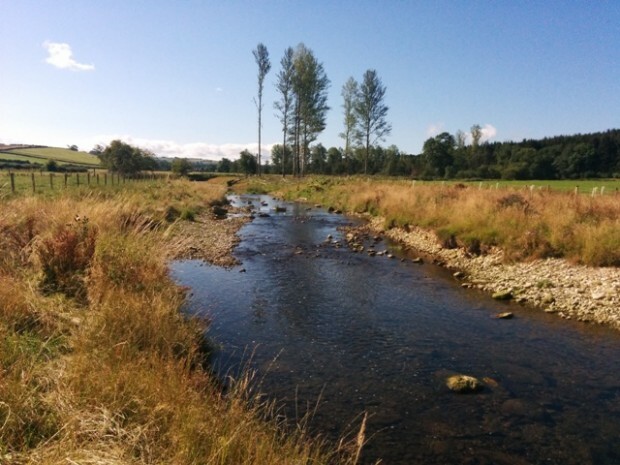 This programme forms a part of the North West’s River Basin Management Plan which will mprove the health of all our rivers to meet the standards set out in the Water Framework Directive. 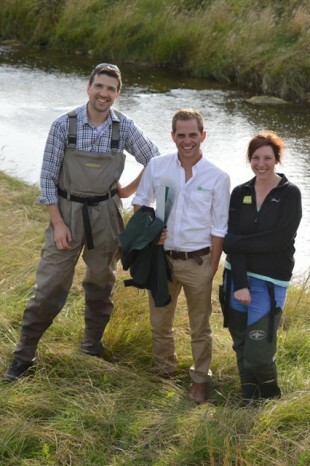 This successful large-scale river restoration is the result of a unique partnership between the Environment Agency, Natural England, West Cumbria, Eden and South Cumbria River Trusts, landowners, farmers and the local community. By working together, we’ve achieved much more than we could have done individually. I’m the UK’s representative on the European Community of Practice for Restoration. We regularly share information and lessons on river restoration across the continent and the world with other river programme and project managers. 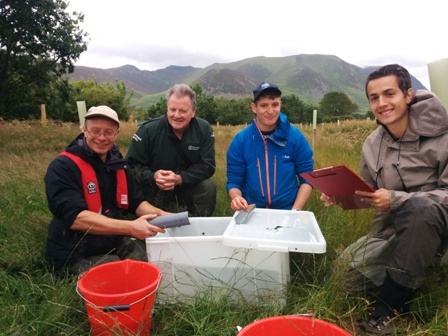 The Cumbria Restoration programme is seen as exemplar project which can help others to learn. The success of these projects show that if you give nature a helping hand it will do the rest! And have led these rivers to a natural and sustainable future. We have plans to continue this great work on our key Cumbrian rivers for the next few years, so hopefully we'll get to see more environmental wins like this. Seeing wildlife return to sensitive areas as a result of our collaborative work makes it all worthwhile and gives me a real buzz! Nature quickly tells us whether we've done a good job or not. Olly Southgate is a Project Manager for the Environment Agency within the Environment Programme Team based in Cumbria and Lancashire. He has worked at the Environment Agency for 12 years. Prior to managing the river restoration programme, Olly was a Fisheries Scientist, Ecologist and Fisheries Officer across the North West. You stonking great bloody idiots! Well done for creating the conditions that have flooded large parts of Cumberland and Westmorland for the sake of your politically correct environmental pseudo science. You deserve the bloody sack!! If you actually read the article the work they have done actually helps to prevent flooding. The flooding was caused by extremely high rainfall over long periods, not by restoring the natural functions of rivers, get a grip.